The Year End Sale is back at Mitsui Outlet Park KLIA Sepang! 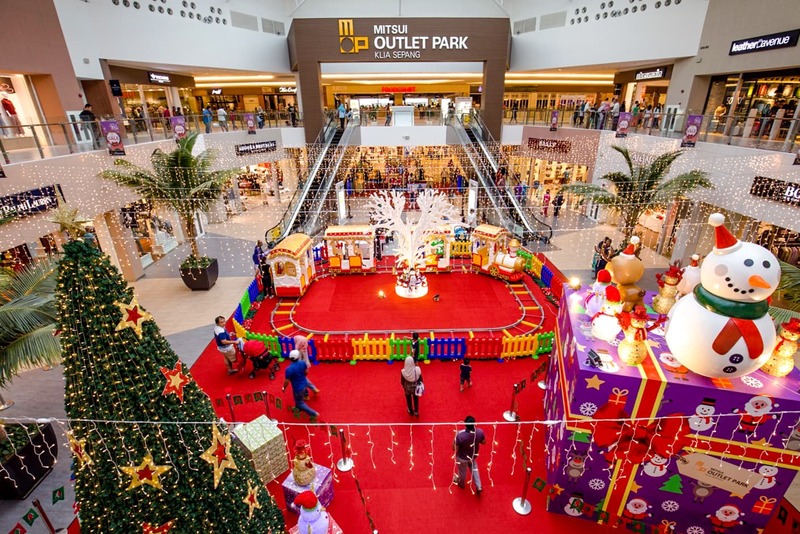 To celebrate the festive holidays and usher in 2017, the outlet mall has come up with a host of fun activities to engage its patrons. The activities are timed to allow parents to bring their kids over for a fun time as part of their school break family outing. The incentive to visit includes a Jolly Christmas Sale mall-wide with up to 90% off list prices from 18th November to 2nd January 2017. Up to 2nd January 2017, Mitsui Outlet Park KLIA Sepang will be offering 2 hours of free parking on weekdays for patrons who spend a minimum of RM30 in a single receipt at participating F&B outlets within its premises which include Beryl’s Chocolate & Café, Me Time, The Coffee Bean & Tea Leaf, The Loaf, Don Don Tei and Para Thai. The original receipt has to be furnished for verification. The mall will also be hosting a fun Sports Carnival at the Tropical Plaza, a mini sports activity of sorts. For purchases of RM50 and above on a single receipt at any of the following outlets: Adidas, COBRA PUMA Golf, Triple, Timberland, Puma, Fila, New Balance, Onitsuka Tiger, Skechers, Havaians and Toy World – a shopper is entitled to participate in the mini sports challenge anytime between noon to 8.00pm, where he or she will get to win exciting prizes by beating the games “record”. The Sports Carnival runs until 4th December 2016. Especially for kids, the mall will host the Gao! Gao! Pizza Making Workshop at the Gao! Gao! The outlet where kids aged 5 to 12 gets to make their own handcrafted pizza. Participation requires a minimum spend of RM100 on meals at Gao! Gao! from 18th to 30th November 2016 that entitles the participation of one child at the workshop on 3rd, 4th, 10th or 11th December between 3.00pm to 6.00pm. Due to limited seats, participation is on a first come first serve basis and the time slot will be advised via phone call or email. On the same dates, between 2 pm to 4 pm and 5 pm to 7 pm, there will also be a Christmas Craft Making Workshop for kids at the Sunshine Square. Participation requires a minimum total spend of RM100 on accumulated receipts with the minimum receipt being RM50. This is also expected to be a children’s favorite, hence, slots are limited. The fun continues for kids with a Balloon Sculpting Clown and Street Magic performances making their rounds on selected dates. The Year End Sale gets even more exciting due to the Christmas Carnival that runs from 6th to 26th December 2016. Shoppers who spend RM300 and above accumulated over two receipts from any participating outlet will get to redeem Limited Edition Sticky Candy. In the Christmas spirit, there will also be Christmas music performances by a musical band on 17th and 24th December, Acapella Carollers on 18th December, traditional carollers on 24th December and a saxophone ensemble on 25th December. A Santa and Santarina Walkabout will take place on 17th, 18th, 24th and 25th December 2016 at MITSUI, detailed information can be found at www.mitsuioutletparkklia.com.my. Participating brands for the Year End Sale include Club 21, Bally, Versace, Tommy Hilfiger, Aigner, DVF, Brooks Brothers, Hackett London, Sacoor Outlet, Porsche Design, Lacoste, Bonia, Sembonia, Hush Puppies, Swarovski, Noritake, Obermain, Akemiuchi, Pierre Cardin, Geox, Esprit, Pepe Jeans, Ace, Leather Avenue, Quicksilver, Cath Kidston, Isetan Outlet Store and Chocolate Street.